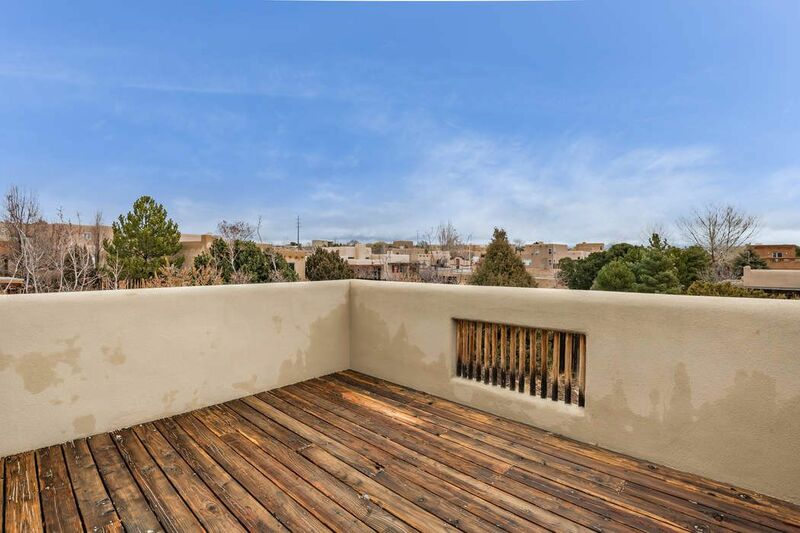 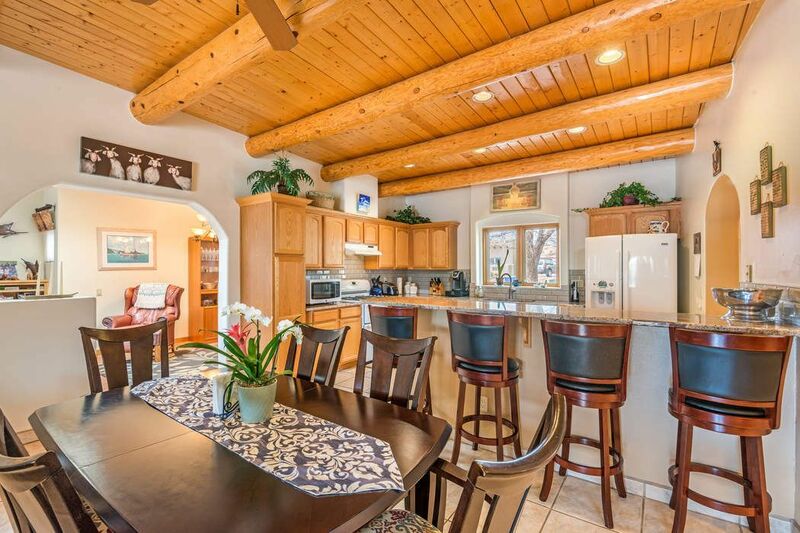 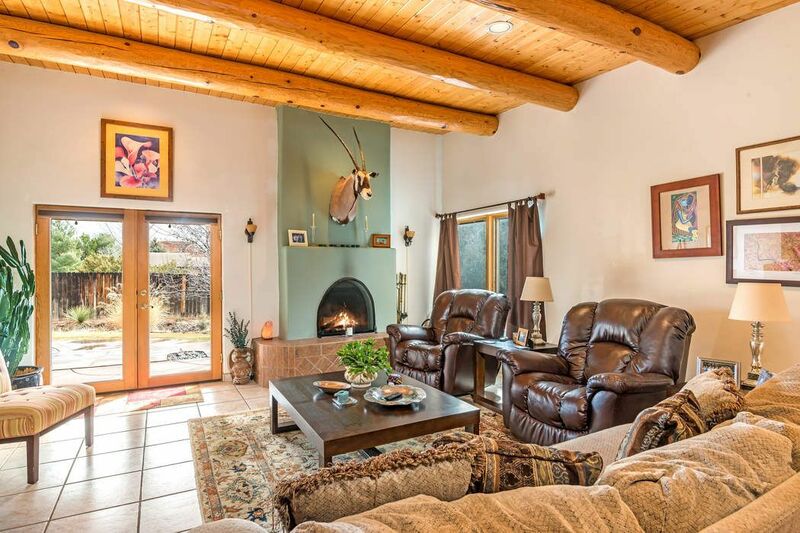 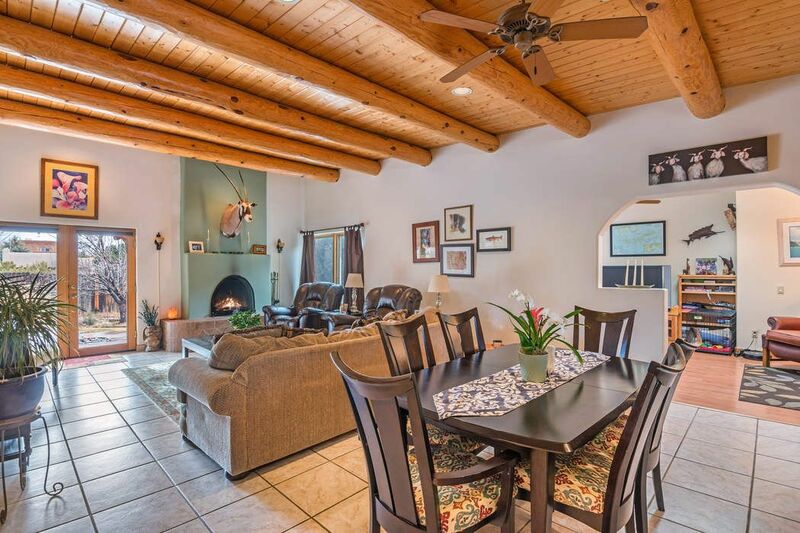 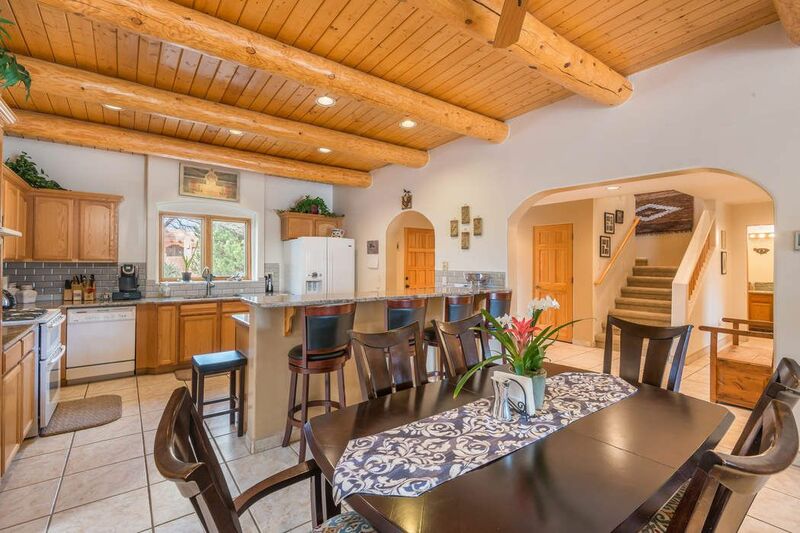 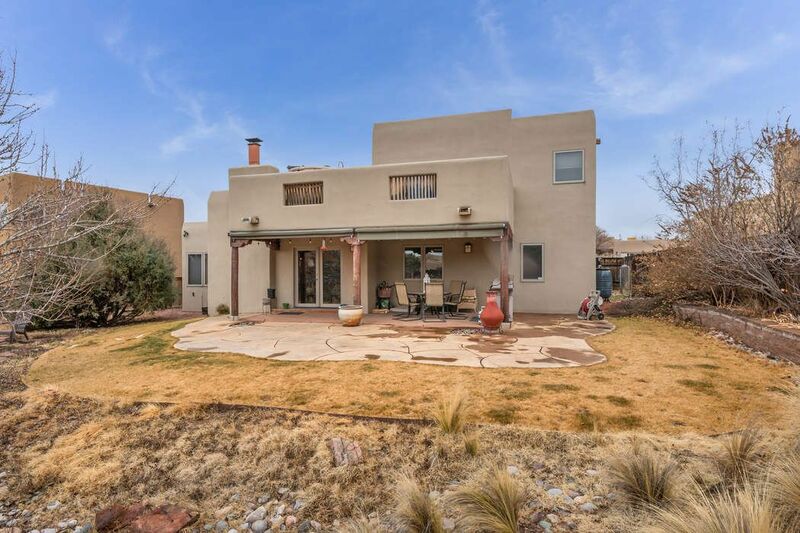 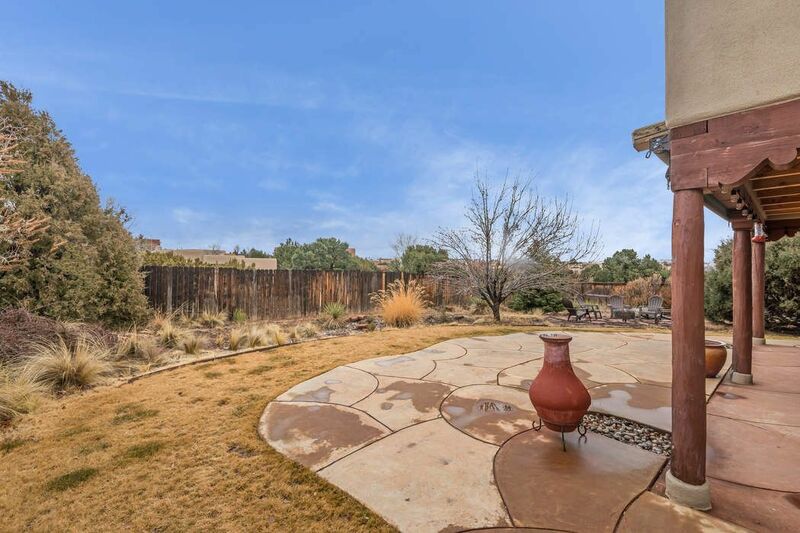 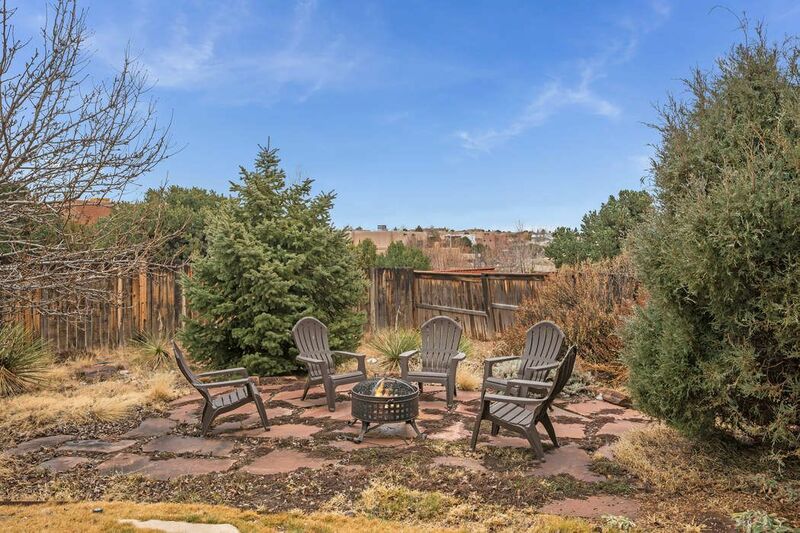 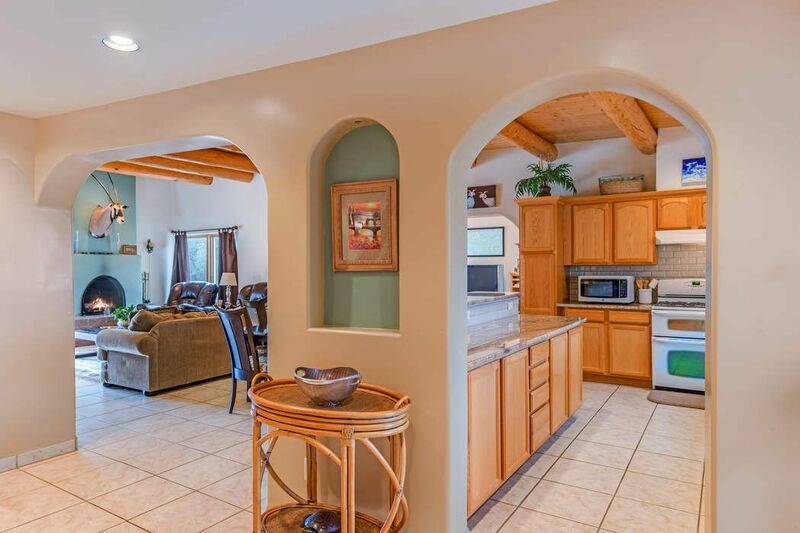 3109 Jacona Cir, Santa Fe, NM 87507 | Sotheby's International Realty, Inc.
$427,000 3 Bedrooms2 Full Baths2,370 sq. 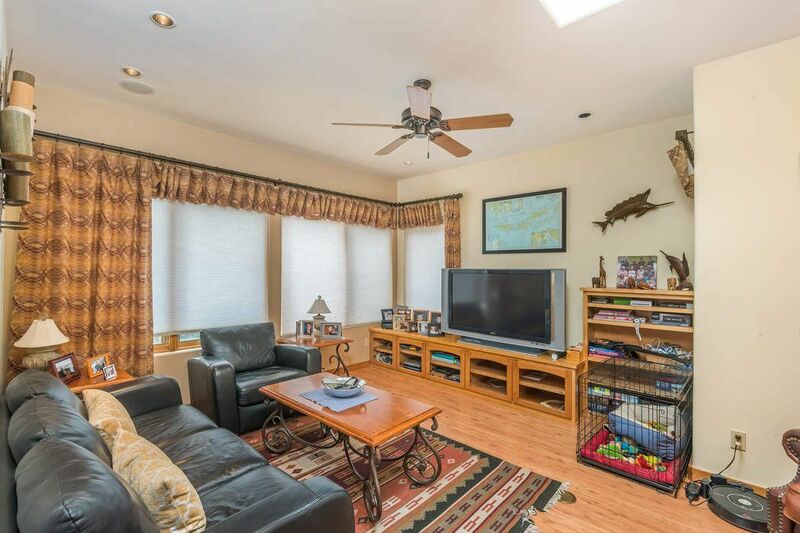 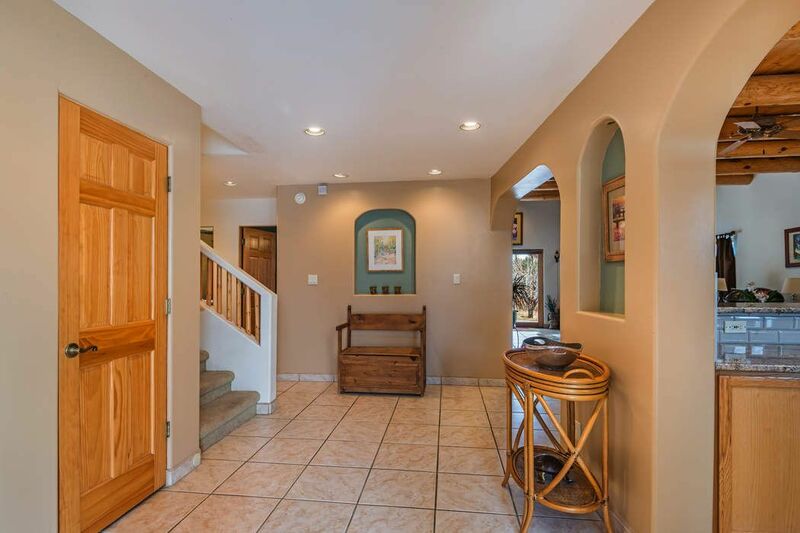 ft.
Lovely home located on a cul-de-sac, backs to open green space, updated kitchen and baths. 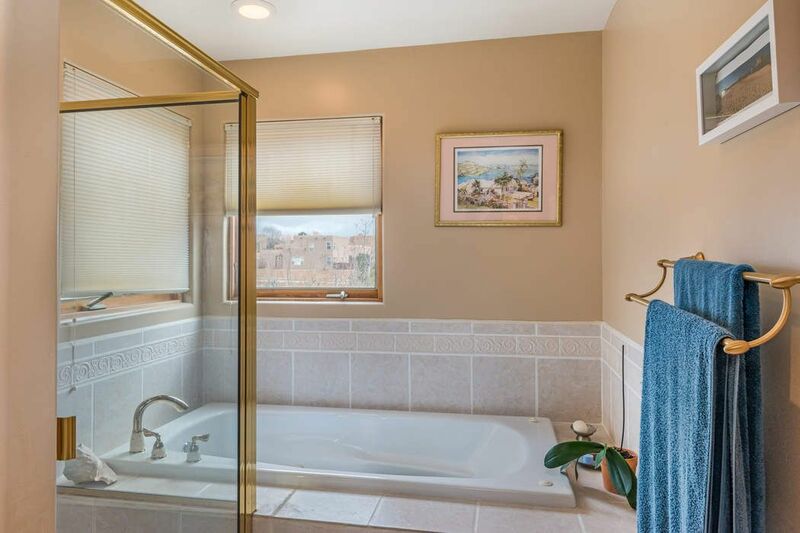 Tile floors downstairs are warmed with in-floor radiant heat and home is comfortable in the summer with evap cooling. 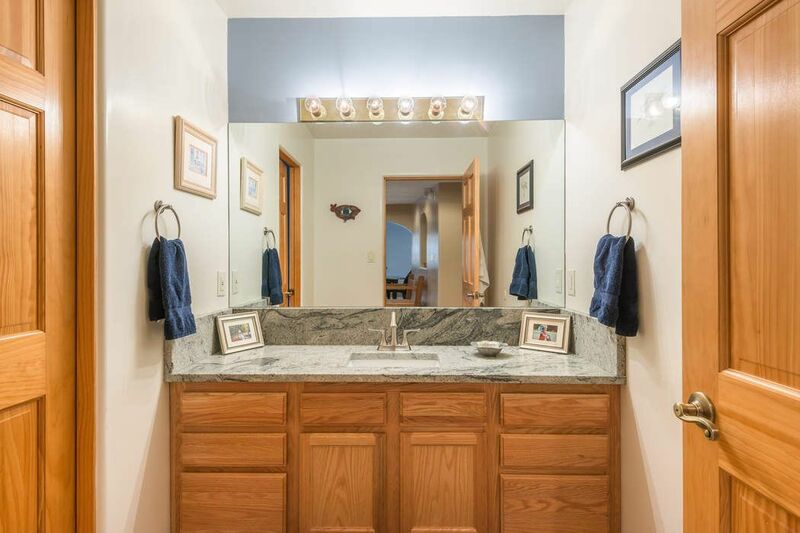 The 2 car garage enters directly into laundry room with washer/dryer and tons of storage. 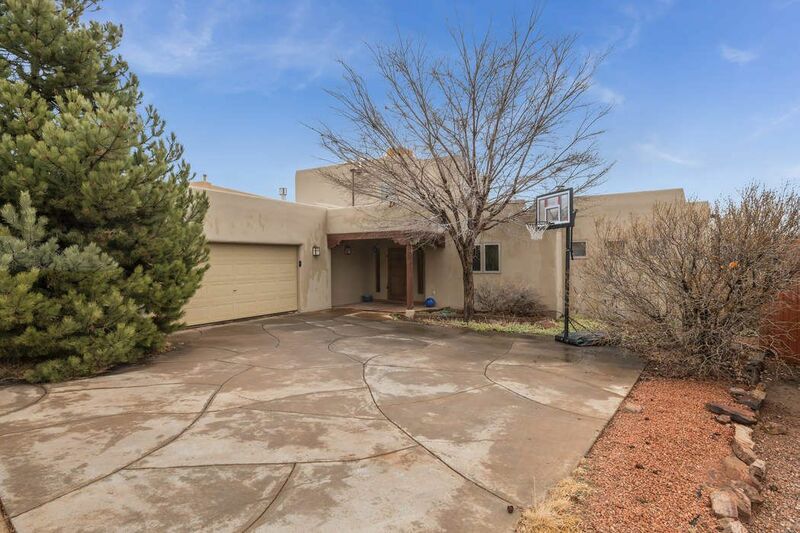 The welcoming entry with huge coat closet and lighted nichos opens to a spacious Kitchen with pantry, gas range, fridge with water/ice in the door, microwave, new subway tile back splash, stainless sink, new faucet, garbage disposal, dishwasher. 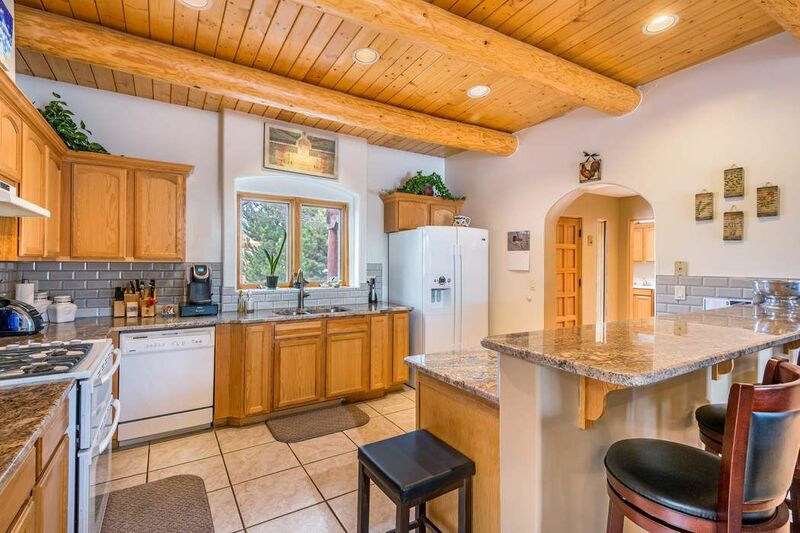 Breakfast bar opens to a dining and living great room with wood burning fireplace. 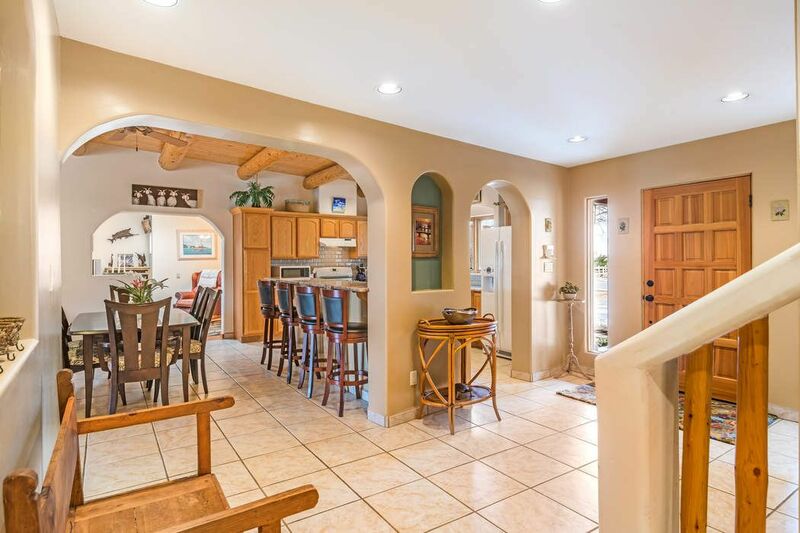 French doors off the living room open to a fenced in back yard with covered patio and mature, professional landscaping: pear tree, storage shed and flowering foliage on drip irrigation. 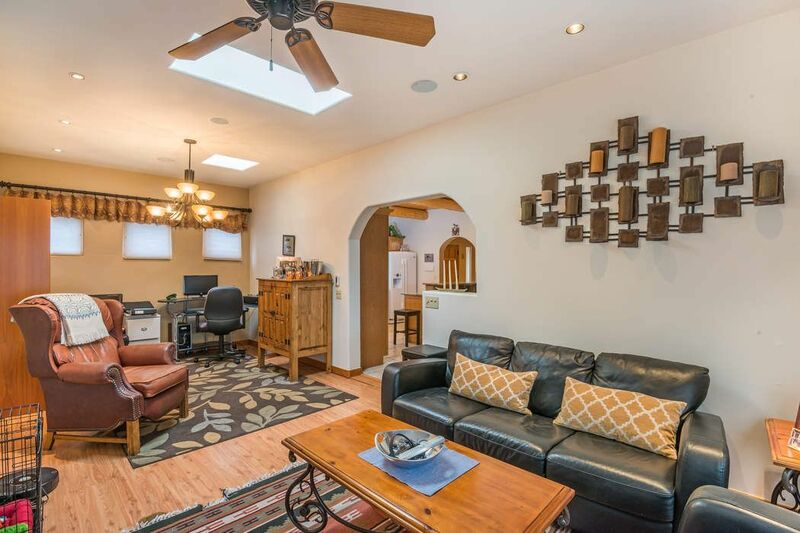 Also downstairs: spacious den/office, updated bathroom and two guest bedrooms. 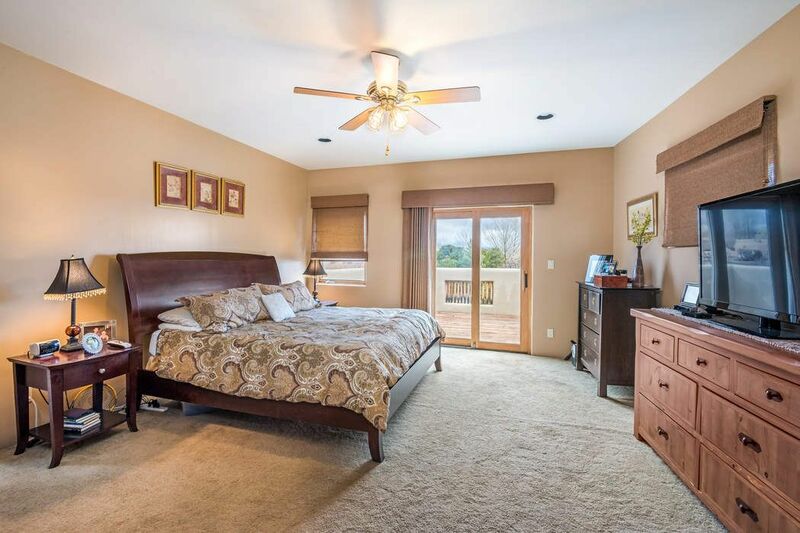 The carpeted stairs lead to a private master bedroom with gas fireplace, sliding door to the deck with hot tub. 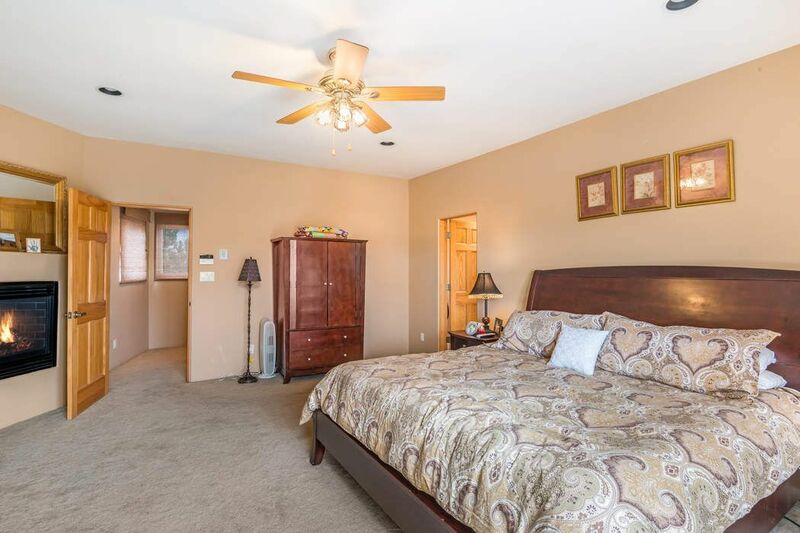 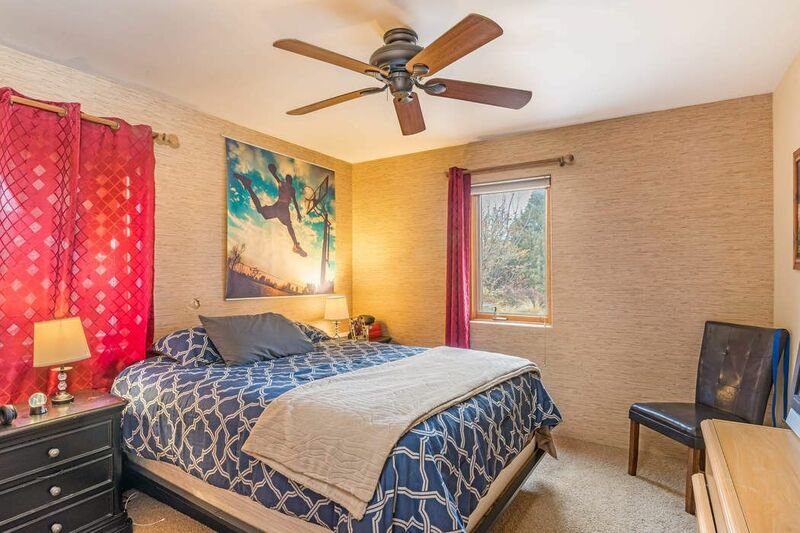 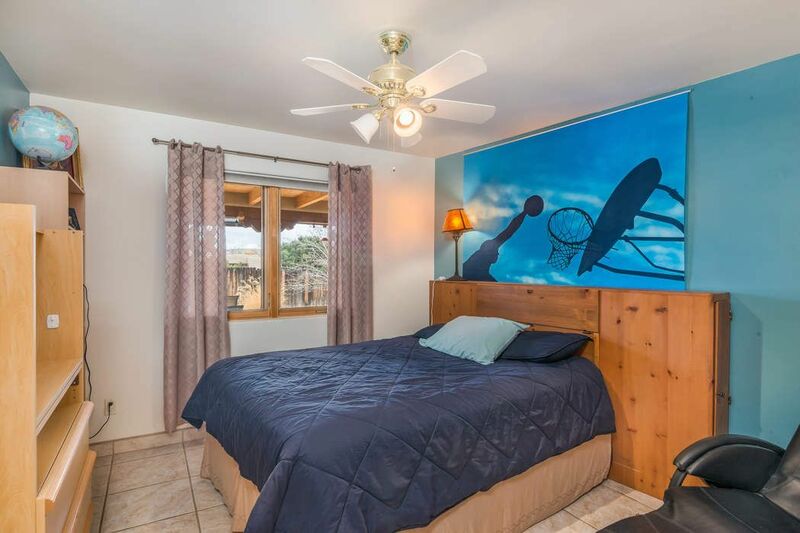 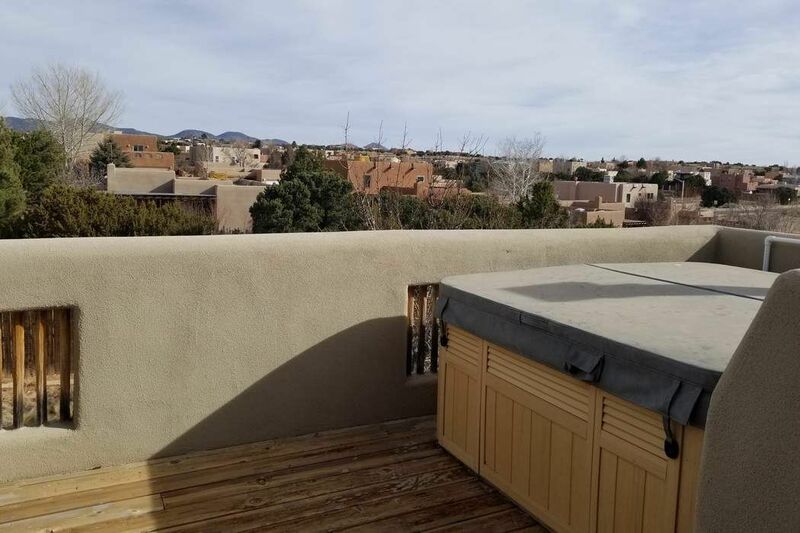 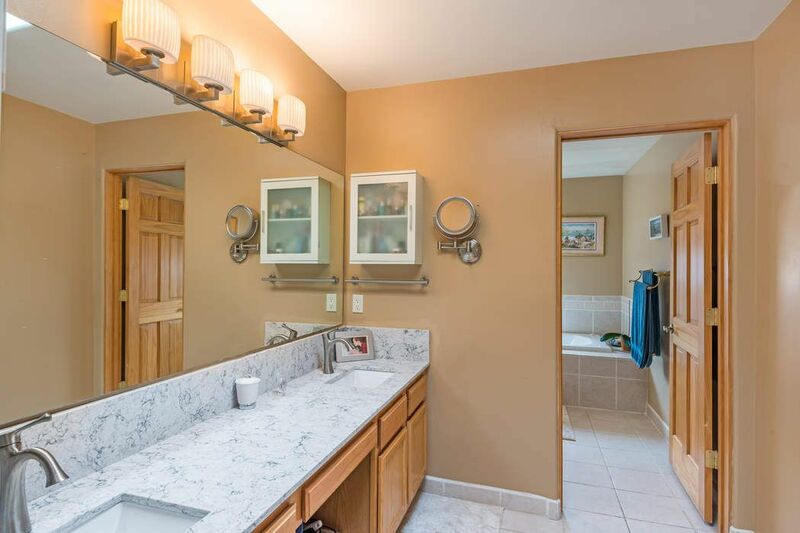 A spacious walk-in closet and bath with updated quartz counters, double sinks and faucets and a separate room with toilet, shower stall and jetted tub with lovely decorative tile accents.